California’s Cook pines have a weird characteristic. The towering trees lean conspicuously to one side, always toward the south, as though buffeted by years of strong winds. But no one really understands why. So a few years ago, botanists from Cal Poly San Luis Obispo took up the mystery. They collected data from 100 or so trees in California. Every one leaned south. Then came an “aha” moment. The scientists reached out to a colleague in Australia and asked him to check the Cook pines there. What he told them was “crazy,” said Jason Johns, who was the lead author of a study drawn from the research. “The pattern was there,” he said, “just in the opposite direction.” The trees appeared to be leaning toward the Equator, a trait never before documented in the plant kingdom. Cook pines are native to New Caledonia, an archipelago in the South Pacific, but they’ve spread the globe, including thousands in California. 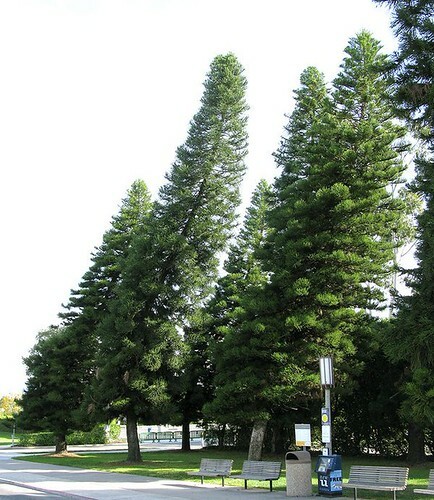 The Cal Poly researchers found that the leaning pattern held with measurements from Cook pines taken on five Continents. The why, however, remains an open question. Mr. Johns was reluctant to venture a theory. Pressed, he talked about a cell process called “signaling cascade” and the interplay between growth, sunlight and gravity. The Cook pine discovery, he offered, was an example of how far science has to go in understanding the way the world works. As we orient to due south, we might spare a thought for Herbert Faulkner Copeland; he died on this date in 1968. An biologist, he delineated four biological kingdoms, instead of the (then-canonical) two for plants and animals. A decade after Darwin’s Origin of Species, Ernst Haekel had proposed (1866) adding a kingdom, Protista, for microorganisms, but it was never adopted. Copeland further discriminated among the microorganisms in a paper in 1938, splitting them into two kingdoms: Monera and Protista. 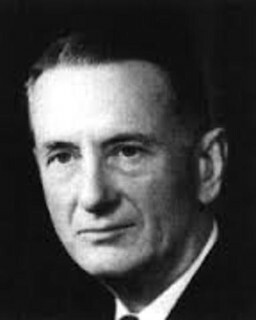 Copeland identified Monera as organisms without nuclei, and Protista as being largely unicellular, with nuclei. By 1956, he published a book, The Classification of Lower Organisms, still trying “to persuade the community of biologists” to adopt these four kingdoms. Change came slowly, but continues now beyond Copeland’s ideas to five or six. He was the son of botanist Edwin B. Copeland, from whom he learned the principles of classification.